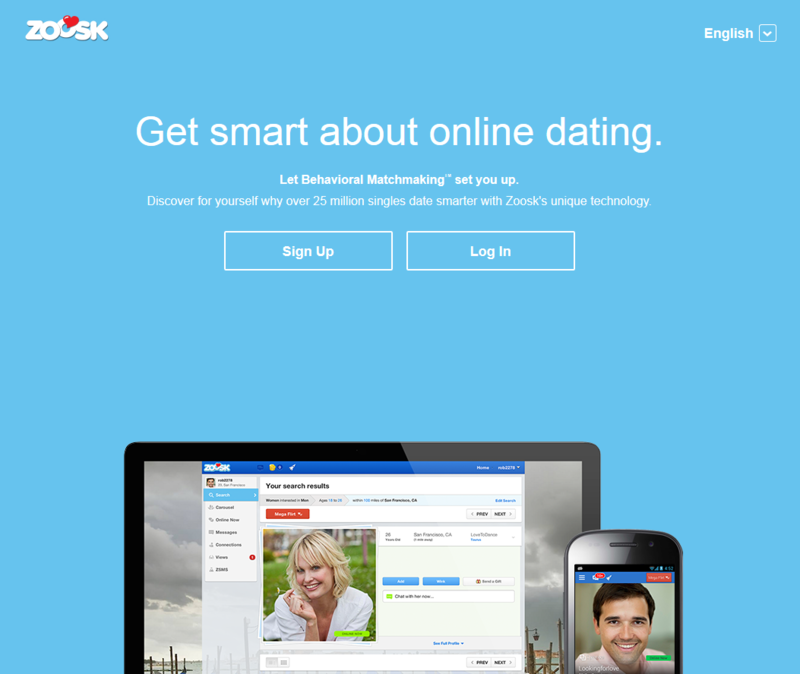 By combining the fun features of a social network with the seriousness of a matchmaking site, Zoosk provides a unique experience of social dating. Its in-house feature : the Behavioural Matchmaking engine learns from your behaviour on the site in order to deliver the best matches. No need to complete an endless questionnaire as this powerful tool is constantly learning from your actions. It studies the profiles you visit and the suggests you possible dating matches. It will take you no longer than a few minutes to sign-up to Zoosk : create your « Date Card » and give as much information as you want about yourself. You can then decide to fill in Zoosk’s compatibility test : a special questionnaire with the aim of targeting your dating preferences and defining your matchmaking results. Based on these informations and on your activity, the Behavioural Matchmaking tool will start suggesting you profiles. At this stage everything is free, but if you want to be able to communicate with users or even to check who has viewed your profile, you will have to upgrade to a paid membership. A man looking for a serious woman to share his lifestyle, values and hobbies ? That’s is the aim of this social dating network : searching and finding your true love. Dating on Zoosk is not like any other dating site : it offers a great combination of friendship and romantic love stories. Zoosk is a friendly platform, very easy to use. As you can see below, we’ve been through most of the features to test Zoosk.com. Most of the profiles we’ve visited were well fulfilled with pictures and descriptions. Zoosk is an honest dating site to find serious and casual relationships. Try the Zoosk Scientific Matchmaking Service : this service suggests you a daily profile based on the information collected and your behaviour on the site. Zoosk is available on the go with its iPhone and Android Apps. More dating tips and advice to date successfully on the Zoosk online dating blog. Zoosk strongly puts the emphasis on the safety and privacy of its members. Indeed, all profiles are reviewed before being published on the site and user information is always encrypted. The online help center is very efficient. Most problems can be solved very easily through this platform. Our team is very impressed by Zoosk dating performance. The site’s approach to online dating can be considered as a major breakthrough in the industry of online dating and makes them stand out of their competitors. The promoted social aspect of dating makes it less stressful and much more fun. Keep in mind that if you do not want your dating activity to interfere with your social networking life, you can sign up with your email address instead of your Facebook account. Zoosk is a very innovative dating site : it’s one of our favourites. You can register for free and experience right now an exciting new way to meet like-minded singles in Sweden.